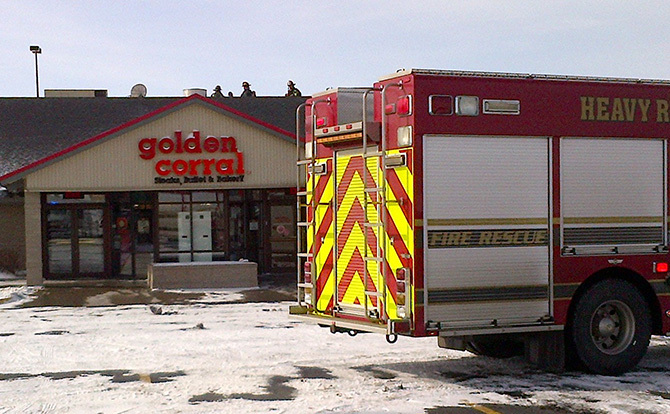 At 08:48 a.m. (April 3, 2013) the Greeley Fire Department was called to 3035 23rd Ave, the Golden Corral restaurant, in Greeley, on the report of a possible structure fire. Upon their arrival, responding fire crews reported that the restaurant had been evacuated. Restaurant employees reported smelling and seeing smoke inside the business. Fire crews immediately entered the building to investigate and quickly determined that fire crews needed to get onto the roof to examine the rooftop heating units as a possible source of the smoke. 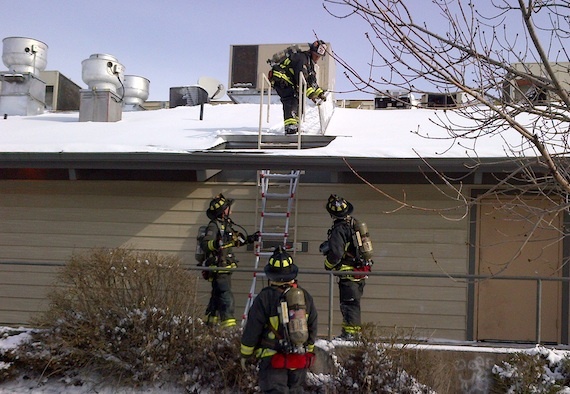 The responding Ladder company cautiously gained access to the snow covered, icy roof of the restaurant and identified a potential problem with one of the heating units. A HVAC repair technician was called to the scene and the problem-causing unit was shut down. The restaurant was able to reopen and continue serving customers. There were no injuries and no damage estimate is available. Site contents copyright © 2019 Recorder Online	except as noted. All rights reserved. | 87 queries in 1.108 seconds.